Vietnam says it is granting amnesty to more than 18,000 prisoners to mark its independence day, September 2, but those convicted of national security crimes will not be freed. Officials say the detainees, including 34 foreigners, will be released from prison starting Monday, ahead of the 70th anniversary of the communist nation's independence from France. "The amnesty reflects the humanitarian nature of the [Communist] Party and state of Vietnam," Giang Son, deputy manager of the president's office, said Friday. The prisoners to be freed had been sentenced for a range of crimes including murder, drug and people-trafficking and bribery. 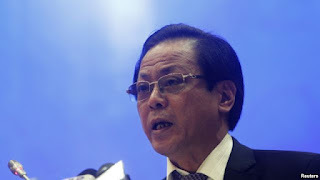 "But none of them have committed crimes against national security," said Deputy Minister of Public Security Le Quy Vuong. Human rights groups have been critical of the one-party Southeast Asian country for not tolerating political dissent and detaining activists for expressing opposition to the ruling party. Hanoi insists only those who broke the law are locked up.